Gender is still a factor when it comes to determining salary. It may sound antiquated, but among full-time workers, women earn about 78 cents to a man's dollar. That's according to the latest data from the Bureau of Labor Statistics. But there's a lot of nuance tucked inside that fact. 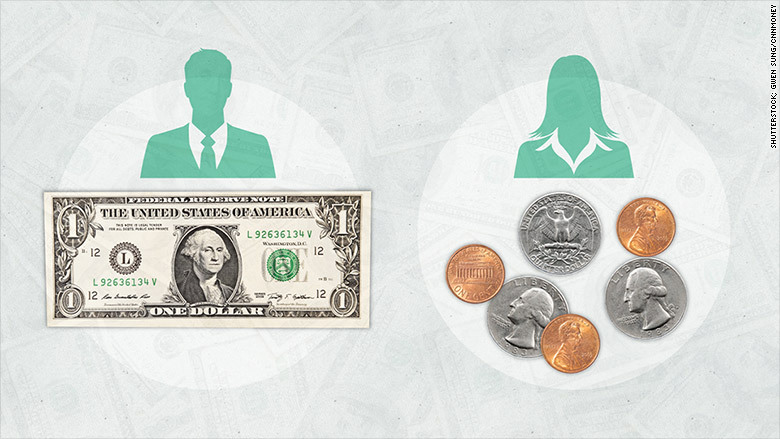 Here's what you should know about gender pay inequality. 1. Men and women tend to work in very different professions. The most comprehensive survey of occupations and gender comes from the American Community Survey, which includes about 3.5 million American households. That data, collected between 2009 and 2013, showed that secretary was the most common job for women, as it has been since 1950. Next on the list were nurses and elementary and middle school teachers. By contrast, the most common job for men were drivers and sales workers, followed by "all other" managers, which includes investments fund and supply chain managers. That's the trouble with just using the 78 cents statistic: it doesn't take into account job choice, education, experience, tenure or hours worked. 2. But, even after you drill down into specific occupations, the wage gap persists. Take elementary and middle school teachers, for example. Women hold more than 70% of the jobs, yet men still earn more for the same role. Male teachers earn a median of $1,096 a week, whereas women earn $956 -- about 87 cents to the man's dollar. The gap is even more pronounced in some other everyday professions. In retail sales, women earn 70 cents to the dollar, and among full-time lawyers, women earn 83 cents. 3. OK. But what does that actually look like, salary-wise? It adds up. It can make the difference between five- and six-figure annual incomes. This is especially true among tech jobs, according to the Ladders, a job site that pulled salary data from 1.3 million people in the U.S. in 2014.In a technical director role, women earn less than six figures ($97,817) while a man with the same title will earn nearly $40,000 more a year. In an accountant role, there's a $32,578 salary gap. A study from the American Association of University Women showed there is a 7% wage gap between male and female college grads a year after graduation, even controlling for college major, occupation, age, geographical region and hours worked. "It starts early and it accumulates over time," said Caroline Ghosn, founder and CEO of millennial-focused career startup Levo. "There's very low awareness that this is still an issue." 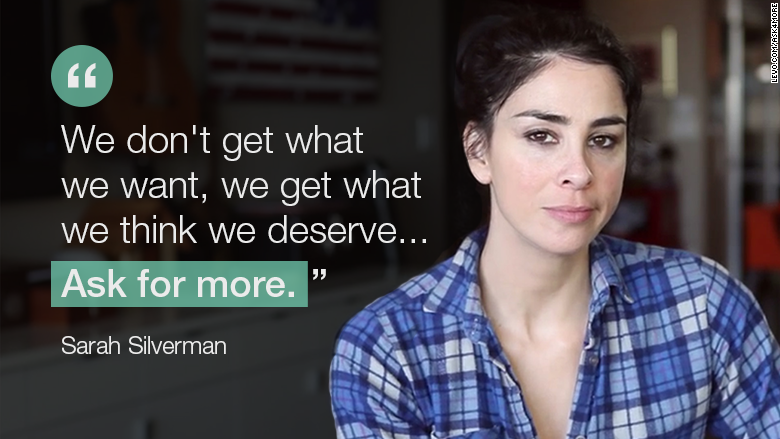 Levo is running its third annual #Ask4More campaign, using celebrities like Sarah Silverman to raise awareness that the wage gap is very real -- and educating women on how to ask for more money. 4. The gap isn't improving in any significant way. Women have raised their hourly pay 1.5 cents since 2012 (from 76.5 cents to 78 cents), according to the Census Bureau. But it's been "relatively stagnant over the last decade," said Fatima Goss Graves, vice president for education and employment at the National Women's Law Center. There are several factors, according to Graves, that are stalling any major improvements. 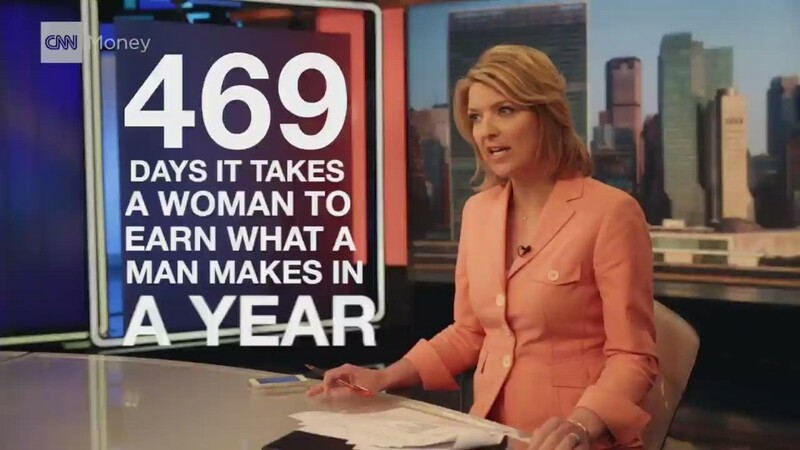 Like the fact that women make up the majority of the lowest paying jobs. Raising the minimum wage would make a significant differences, said Graves. Others have said the increase is a result in the decline of men in the labor force -- not improved conditions for women. 5. For some women, it's even bleaker. Black women make 64 cents and Latinas make 56 cents for every dollar earned by a white man. There's also what Graves refers to as the "motherhood penalty": mothers tend to make even less than women who don't have children. 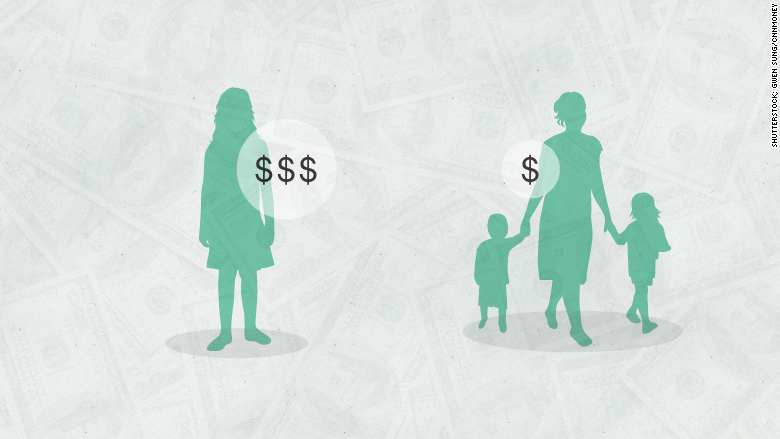 Women are the breadwinners in 40% of U.S. households with children, according to a 2013 Pew Research Center report. "This is just not about women, it's about how its affecting families," said Ghosn.